In Atlanta’s Morningside neighborhood, nestled among some more traditional brick homes, sits a modern property with tall white walls, large windows and a pool in the back. 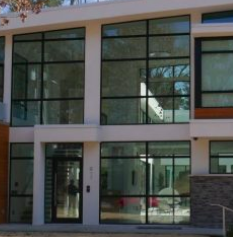 It’s a contemporary home that looks like it would also be also well-suited for Miami or Hollywood. That’s exactly what makes it the perfect set for many television and movie sets, said Wanda Morganstern, founder and CEO of Film Friendly Georgia. You might not recognize it from the outside looking in, but this home has served as the set for “South Beach” and other film projects. The residence is currently on the “short-list” for another shooting “which cannot be named,” said Morganstern. And this home isn’t the only residence in Georgia of its kind. See more at WABE.